Big Game. Big Screens. Big Fun. 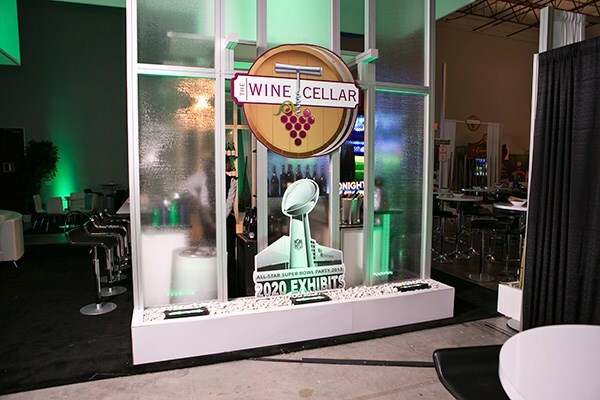 Everything really IS bigger in Texas, especially 2020 Exhibits Texas sized Super Bowl celebration and private All-Start Super Bowl party. 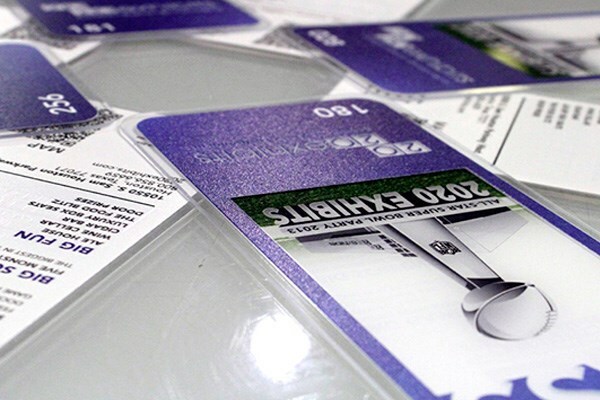 With visions of high-flying Super Bowl XLVII action as the focal point for the game day celebration, customized All-Star Party Passes inviting guests to enjoy the Big Game across Big Screen, to celebrate Big Fun, were delivered to 2020 Exhibits key clients and friends. 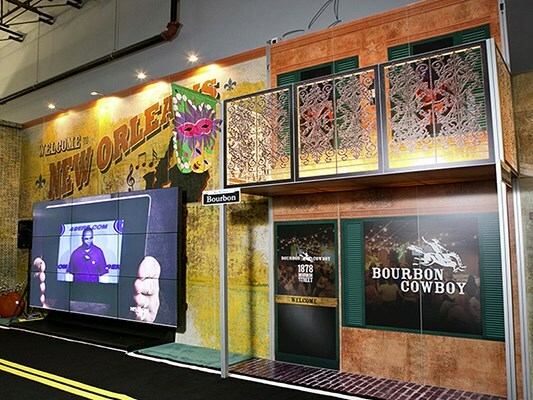 Doors opened at 4:00 p.m. and more than 150 party goers were visibly transported from the 2020 Exhibits Showroom to a NOLA style Super Bowl celebration, filled with all the passion, color and rhythm of Mardi Gras. Sporting brightly lit beads, revelers ambled along Bourbon Street, soaking up the Big Easy atmosphere. 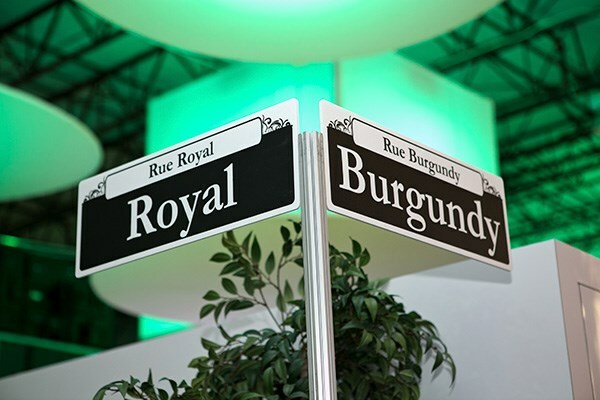 From Bourbon Street they could stake their claim at any one of a series of Celebration Zones, ranging from the Ale House, pouring the region's finest brews; to the Wine Cellar, stocked with many a fan favorite; and for a hearty spread to rival any, there was The Food Blitz. High above the scene was a private cigar lounge, where the guests enjoyed custom, hand-rolled cigars from The Cigar Bar, while watching the game in luxury and comfort. The night was filled with unforgettable "wow" moments that immersed party-goers in a different world. 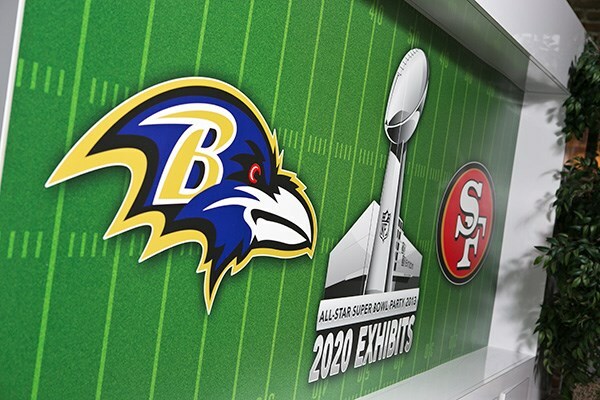 As the Baltimore Ravens narrowly edged out the San Francisco 49ers, 2020 Exhibits clients, friends and family enjoyed the celebration from kick-off to the final whistle in luxury and comfort.